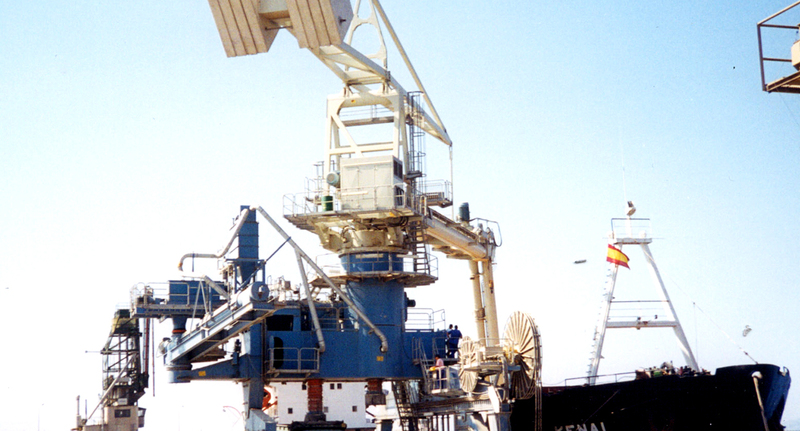 This ship unloader supplied to Cia Canaria de Materias Primas operates in Port of Santa Cruz, Tenerife. Unloading efficiency is increased thanks to using one unloader for more than one type of bulk cargo. The machine is travelling on rubber-tyred wheels and can move about 140m along the quay. It can also be turned 180 degrees and moved away if needed. The power for the moving procedure is supplied by a diesel generator and then the cables are disconnected. Designed as a multi-cargo machine, it can easily unload different kinds of bulk materials, e.g. grain, crushed soya beans and cement. 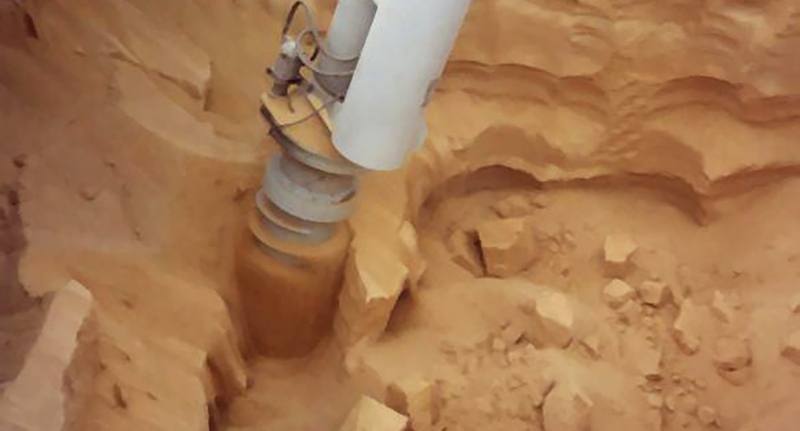 The unloaded material is discharged directly to trucks via two loading spouts and screw conveyors to a jetty belt conveyor.